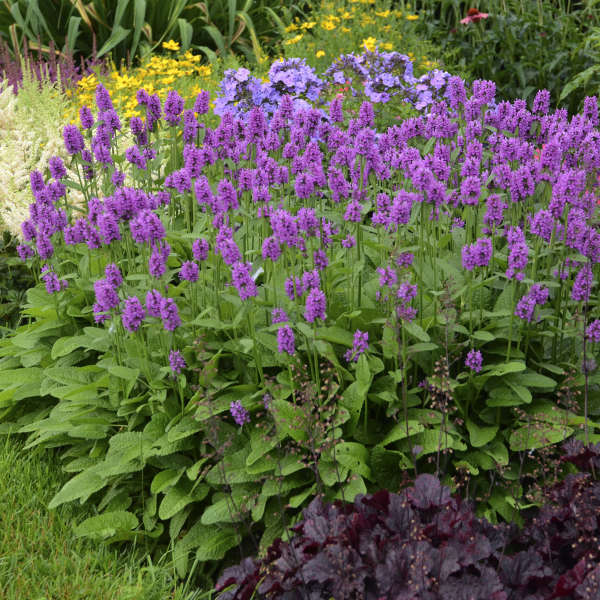 This gorgeous new introduction from Proven Winners has been 10 years in the making. 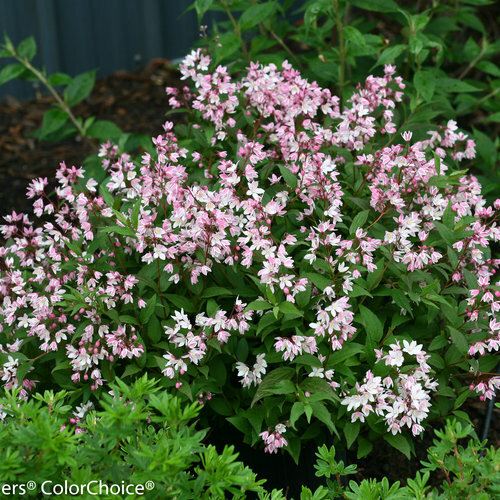 Compact mounding shrub is covered with soft pink, bell-shaped blooms with a white margin. 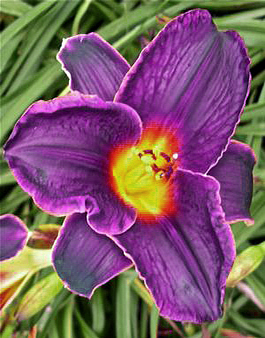 The inside of the flower is flushed with a hint of violet. 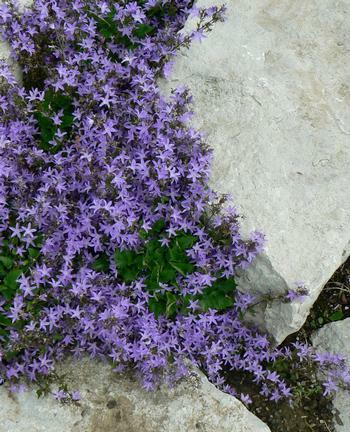 Green leaves turn multiple shade of burgundy in the fall. 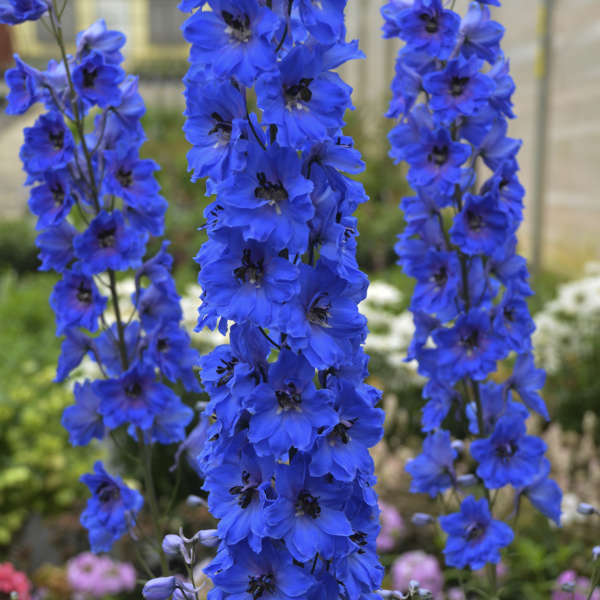 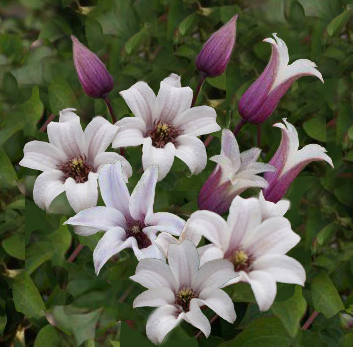 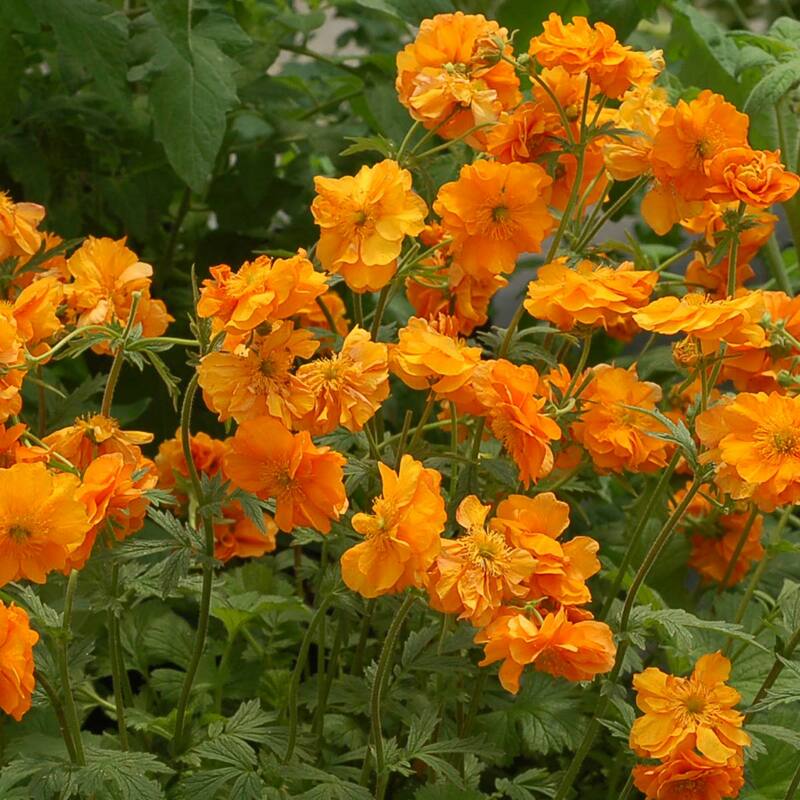 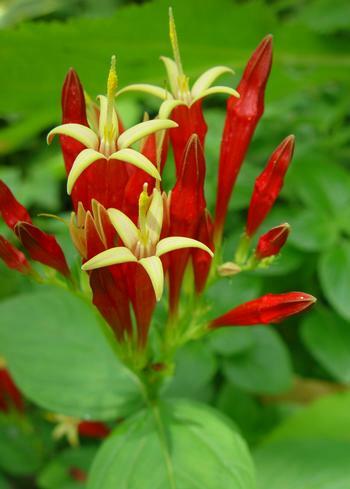 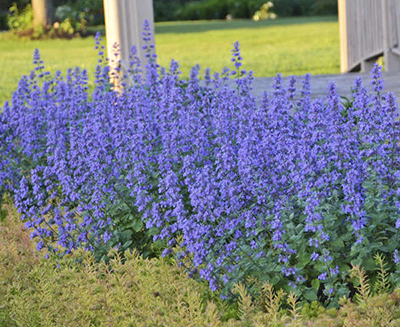 Easily grown in full sun to partial shade and does well in both dry or moist soil. 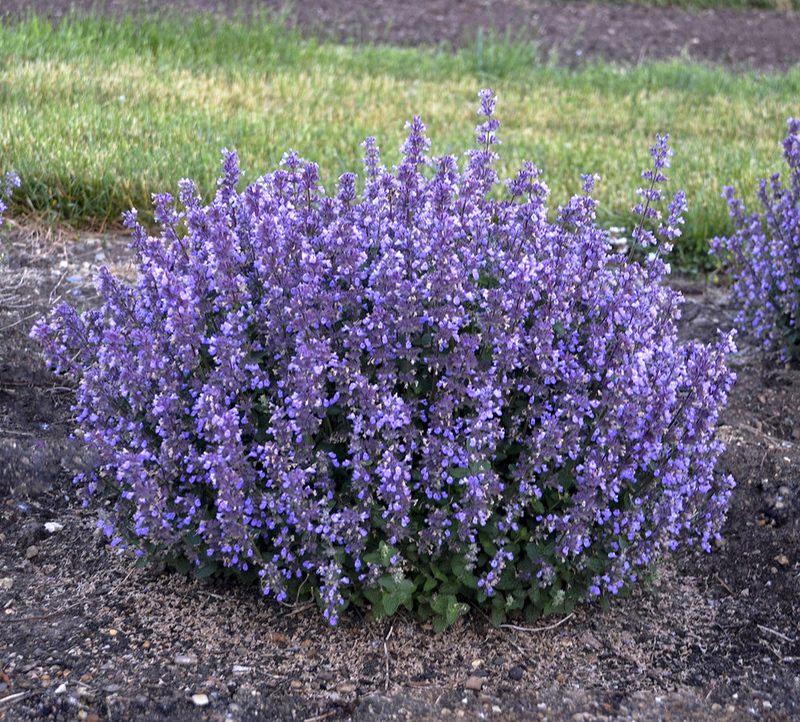 It will be drought tolerant once established. 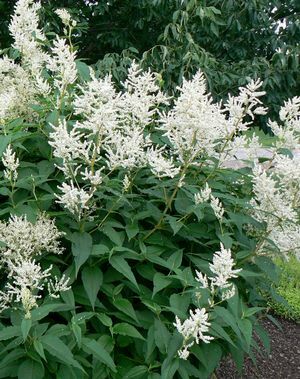 A highly adaptable shrub which will fit perfectly in the border or small garden.